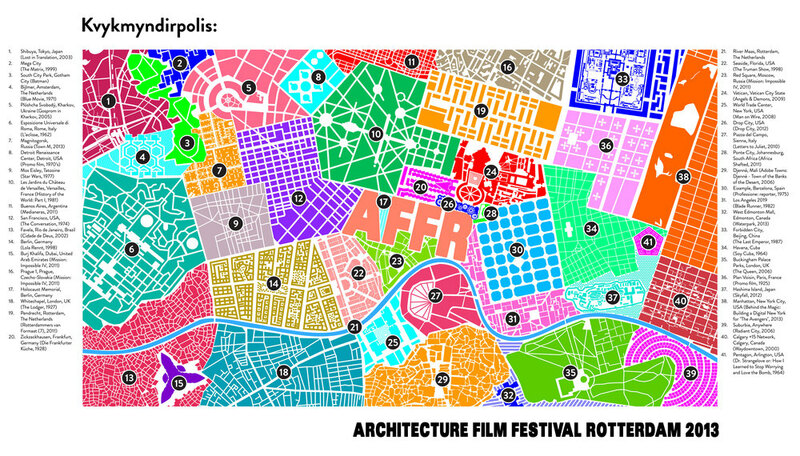 The AFFR leader consists of 41 fragments of architectural film cities, both as a film clip and a city map. Together they form Kvykmyndirpolis, a fictional film city. What cities and films are featured in the leader? Of the 41 cities and films in the leader, only a maximum of 15 cities and films have been guessed by visitors of the AFFR. How many can you recognize? Click to enlarge the map with cities and filmclips and learn them all by heart.